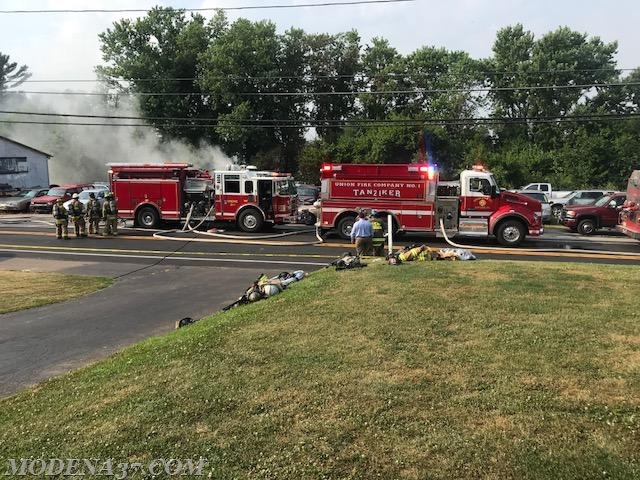 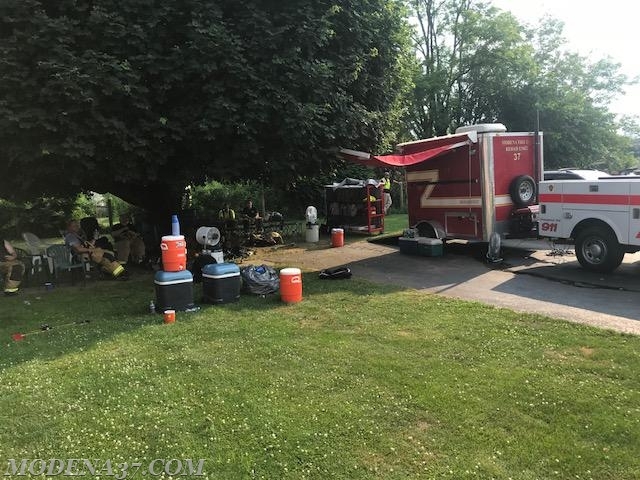 On Tuesday July 3, 2018 Rehab 37 was on the road again for the second time 3 days the Modena Fire Company was alerted to assist with rehab this time to assist the Oxford Fire Company in Elk Township. 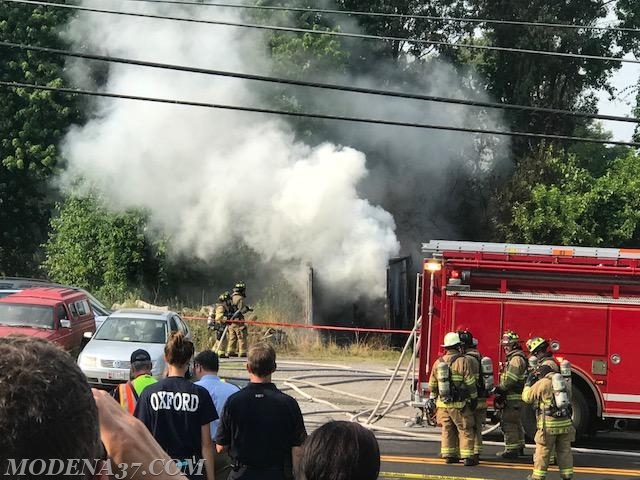 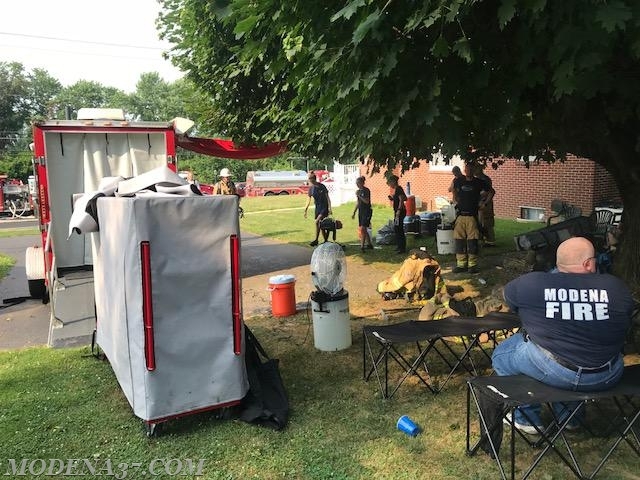 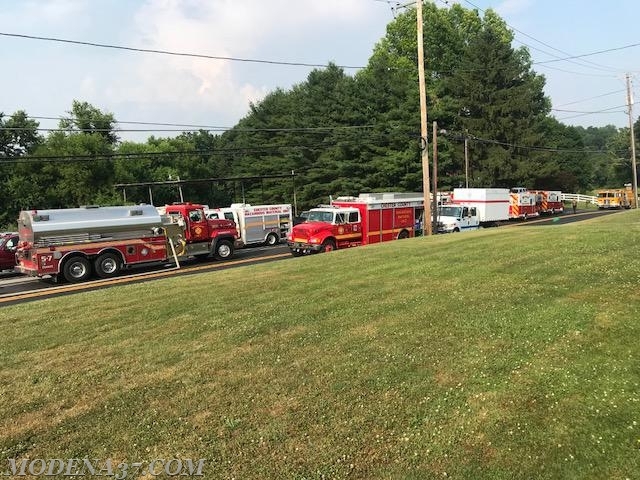 Oxford was operating at a Hazards Materials incident involving a shipping container on fire; the extremely hot temperatures raised some concerns for their crews and for the Haz-mat teams and their safety. 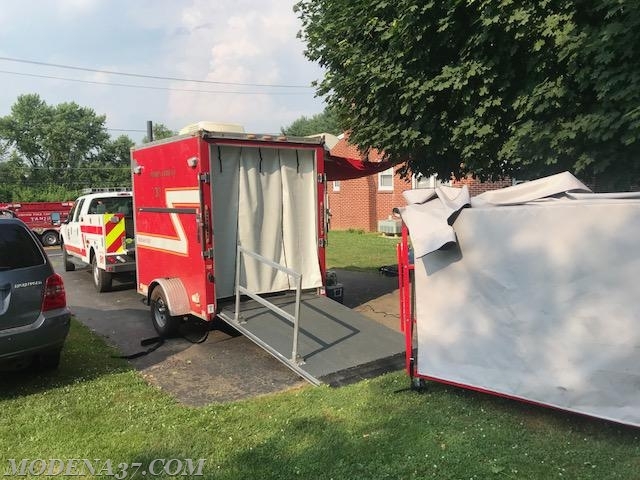 Squad and Rehab 37 were dispatched at 1535 hours and made the response, once on scene equipment from Rehab 37 was deployed including benches with misting fans multiple coolers of water and Gatorade, and the A/C was cranked up inside the trailer for crews to take a break. 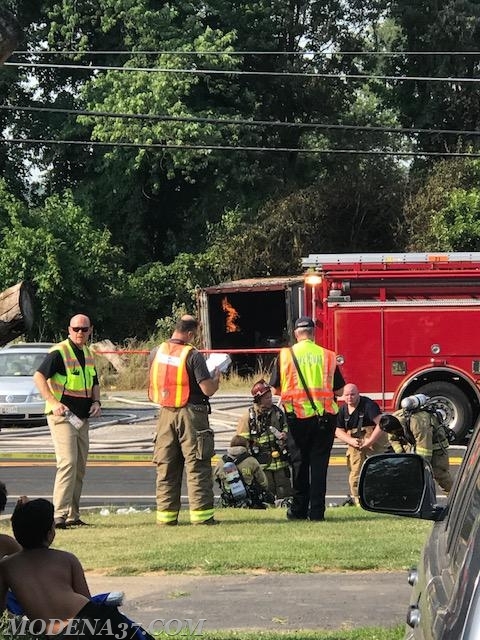 The Modena Fire Company would like to remind everyone that the unit is in service and hear for your crew’s safety, please don’t hesitate to call us.